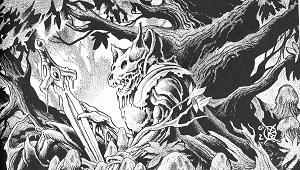 Wolfen skeleton kept alive by a rune sword. CrIsis is led to Kchaketch by Jaremy. He is finally at peace with the return of Mindprancer to the cave of the Dread Pirate Jason. See the logs The Trial of the Redbeard Clan, This Can’t Go On, Cava’s Prayer, Voice of Reason, Bennubriated, and Pull My Finger for more.